Aww, fruit trees! It’s been said that the best time to plant a fruit tree is yesterday – because they take so long to produce. And while it’s true that you won’t get fruit the first year you plant a fruit tree it doesn’t have to take years and years to get fruit either. There are some fast growing fruit trees. Let’s start off with talking about whether you should grow fruit trees from seeds or from a grafted tree. If you plant a grafted tree (one you bought from a nursery or that someone grafted for you) you will get fruit earlier than if you grow the tree from seed. This applies to all fruit trees. Some people will argue that fruit trees that are grown from seed won’t produce fruit that tastes like the original fruit. This isn’t always the case. Some fruit, like most citrus, will grow true to the mother plant – it just takes 8-10 years before they will produce fruit. If you have space, it’s great to grow some trees from seed, just know that it will take much longer to get fruit. Attainable-Sustainable some great tips on starting nectarines from seed. But if you want fruit quickly, and I’m assuming you do, you should plant grafted trees. Also, you count how old a grafted tree is by counting from the time you plant it in the ground (or into a large container), not from the time it was grafted. You don’t need a lot of property to grow fruit trees. 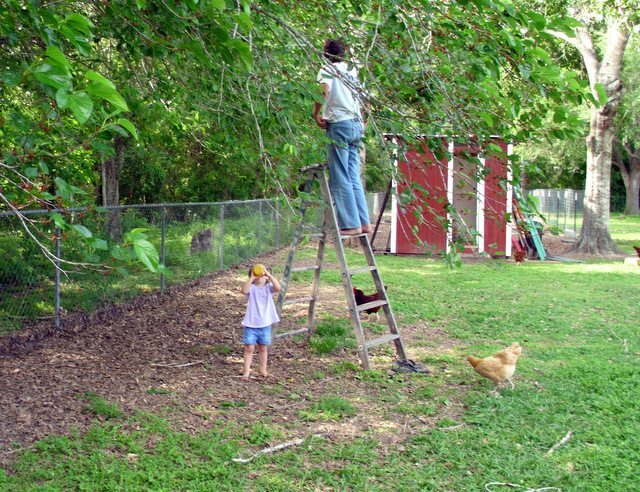 Here’s some tips for planning a backyard orchard. 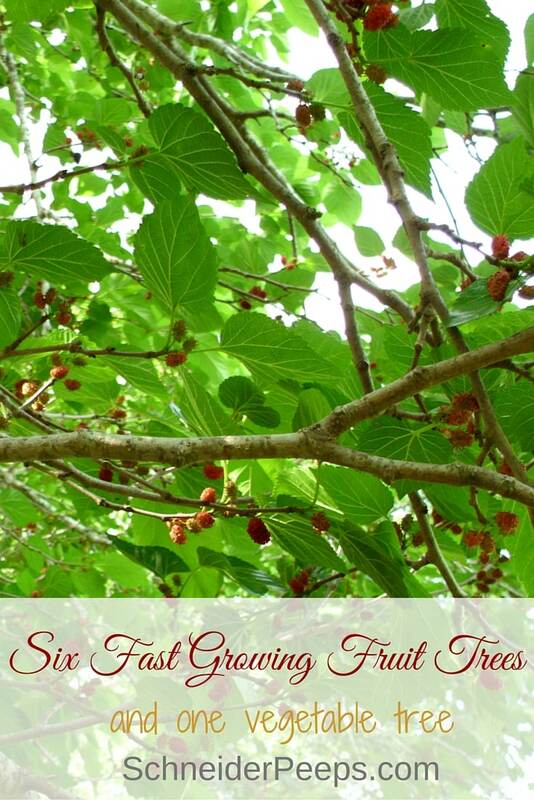 Mulberries will produce within one year of planting a grafted tree and they grow tall super fast (over 2.5′ a year). We actually have one that came up as a volunteer from our neighbor’s tree and it produced a few berries the second year. I’ve read it takes 10 years to get mulberries from a tree that’s been started from seed but this one produced in year two. It’s in year three right now and it about 12′ tall. Mulberries get a bad rap because they aren’t plump and juicy like other berries but they are the first berries to produce around here and we love having them. We eat them raw and add them to yogurt, pancakes and smoothies. Learn how to grow and use mulberries. I know peaches and nectarines are not the same fruit, but they are really close and have similar growing needs. They especially don’t like soggy roots so make sure you plant them in an area that has good drainage. It also usually takes two trees to produce fruit, although there are some self-fertile peach trees. Make sure you get two different varieties that bloom at the same time so they can cross pollinate. Most peaches and nectarines will fruit in under three years – but you have to take care of them. Ok, I know not everyone can grow citrus in their backyard but did you know that some citrus like Meyer lemons and Satsuma oranges can be grown indoors? They can, so I think they deserve thoughtful consideration. Citrus trees are self pollinating so you only need one tree to produce fruit. Also, they will start producing fruit the year after they are planted. 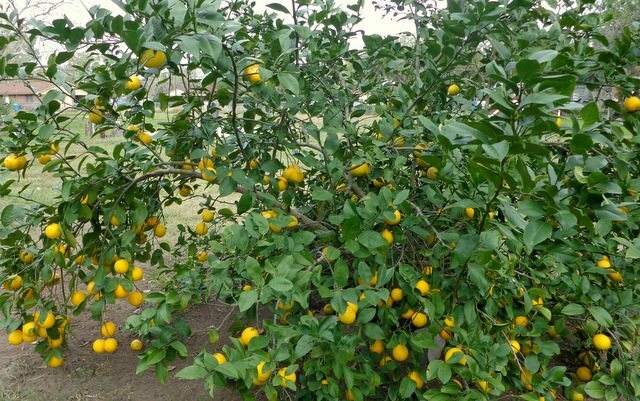 If you need some tips for growing citrus, you’ll find them here. Apples need some cold weather, also known as chill-hours. Like peaches, apples really need another apple tree to cross pollinate. Otherwise we’ll end up with a nice tree but no apples. Those of you who have nice cold winters probably don’t need to know that bit of information, but those of us who live in milder climate have to make sure we plant varieties that need low chill hours. And that’s no fun, especially if we are thinking we’ll be munching on apples in under three years. If you want to learn more about chill hours and other climate metrics and how they affect your garden and orchard, we have a short ecourse that explains just that. You can get more information on understanding your climate here. Figs are another fruit tree that likes warm weather, so if you plant one and live where it gets cold you might want to do it in a container. Figs only need one tree to produce and you will probably get fruit in year two. Figs are self fertile, in fact they don’t even flower; they just make fruit. Bananas are another “tree” that needs warm weather but if you can provide it, you can have bananas in about two years. We have a friend who is overrun with banana trees and has offered us some. They propagate through their root system and need to be dug up and separated occasionally to keep them from taking over. Edited to add: A reader pointed out that bananas trees are not actually trees but are the world’s largest perennial herb. That might be why they grow so fast! 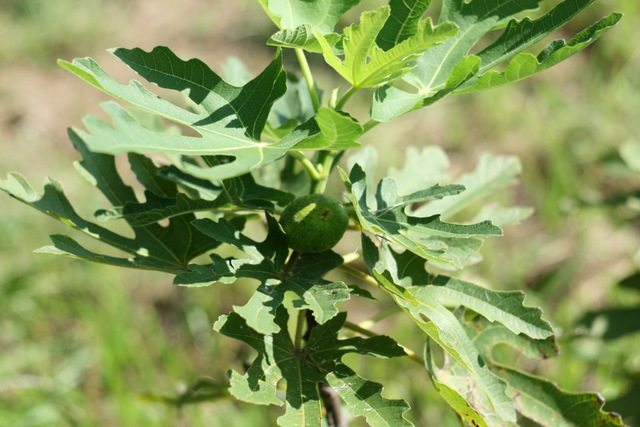 This little known tree is a powerhouse of nutrients. It likes warm climates but can be grown in containers and brought in during the winter. It can also be grown as an annual instead of a tree. The leaves, seed pods and beans are edible. We eat the leaves in soups and smoothies. I also make a moringa tea blend with dehydrated leaves. The pods can be cooked like green beans. 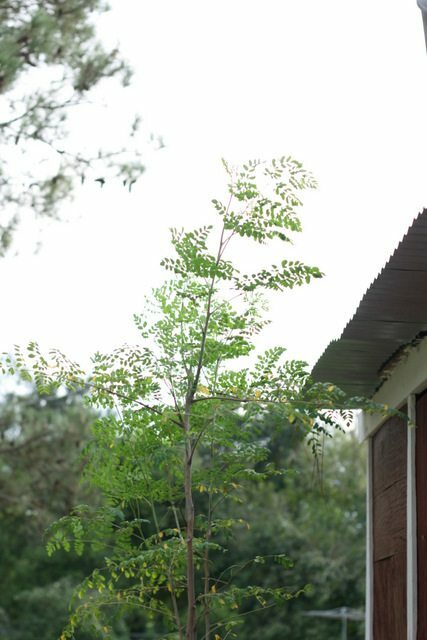 Moringa is super fast growing, like 15-20 feet in one season. As long as the roots don’t freeze, the moringa tree will come back year after year. Of course there are many other fruit trees that are absolutely worth planting but they take three or more years to actually produce fruit. When you’re planning your fruit plantings make sure you include some of these early producers which will help the wait go by sooner. Also make sure you’re making notes in you’re gardening notebook while you are doing your research and making plans this winter. What trees are you planting this spring? 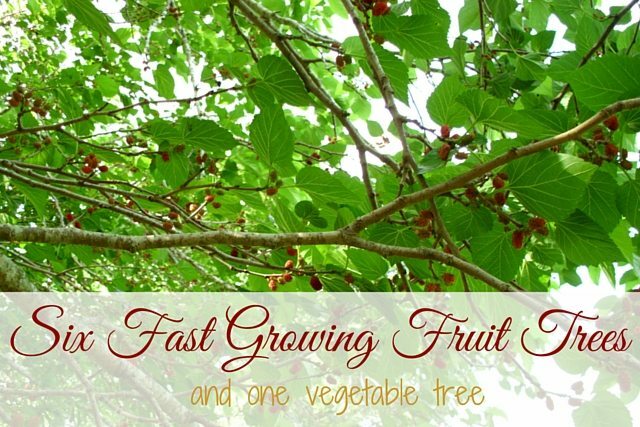 Are you planting any fast growing fruit trees? Angie, We have property in the Phoenix area. Actually Queen Creek, The property is an old citrus orchard that grows the original variety known as Arizona Sweets. But, I am happy to report that citrus is not the only fruit that we can grow in this arid climate. As long as you know the correct varieties, you can plant most any fruit tree. From cherries, to avocado. Moringa also grows very well here. It has been fun starting this farm in the desert and though I remain busy’; I look forward to your inspiring posts. Thank you for the lovely read. Donna, I love that you are growing food in the desert. I bet a lot of people are surprised at that you are doing that. It’s super inspiring to me. What variety of cherries are you growing? I’d love to find a low chill variety to plant here. You are right about that Angi, I have built my gardens on the side of my house that faces a road. There is only a chain link fence on that side. It is common for people to stop their car and approach the fence when I am out in my gardens. I invite them to come and look. I now have a once a month gathering in my gardens for people to come and share from their gardens or kitchens. The trees that I am familiar with doing well here are Royal dwarf and acerola. Since I am doing the best that I can with what I have, I am intrigued by the acerola for its high vitamin C content. I am in Casa Grande. We grow Moringa. I was wondering if you would like to trade an Acerola graft for some moringa. I grew my moringa from seed. the seed that you get from the grocery store shelf in the mexican seasonings. A year and a half later and one bad hurricane, 2 of them are over 12feet tall and the other 3 are about 8 feet tall. I didn’t realize you could buy moringa in the grocery store. How cool is that? Ours went through a hurricane a last year and not only survived but grew a lot the next few months after having all their leaves stripped off. Hi Leticia, I’m guessing that what you are calling a blackberry tree is actually a mulberry tree as blackberries grow on vines and brambles, not trees. I’m not sure why your blackberry tree is dropping fruit but I can help you troubleshoot. Are you sure the tree is a purple mulberry tree? There is a white variety and those mulberries won’t get purple. If that’s not the problem, a young tree will often drop it’s fruit the first few years so it can put all it’s energy into growing larger and growing a good root system. Too much water or too little water can also cause fruit drop. High winds or any other kind of trauma can cause the fruit to drop. Before calling it quits for this tree, I would suggest that you make notes next spring about everything that cold affect the tree. Keep track of when you first see fruit, how often and how much it rains, etc. maybe that will shed some light onto the situation. Hope that helps. I’m just going to pint out that bananas are NOT in fact trees! They are a type of grass actually. Please get your facts right before posting something. Hi Kitty, thanks for pointing out my error. Of course, I do try very hard to get my facts straight before posting something, however, I’m not a scientist and I’ve always called the plant that produces bananas “trees”, as I think most people do. I certainly didn’t mean to mislead anyone, I was just using common terminology for an plant instead of scientific classification, just like when I call a tomato a vegetable although it’s really classified as a berry and I call strawberries and raspberries “berries” even though their scientific classification is aggregate fruit. However, I will make a notation in my post so as not to mislead anyone. So rude! If you have something to add, you can do it without an attitude. Actually banana trees are classified as an herb. Angie’s article was very useful. Kitty, maybe you should check your attitude at the door and check your spelling before you post. Great share, Thank you, Angi. I live in the northeast region and would like to grow some fruit trees. However, I am quite green in what and how to grow them. Does any one have ideas for me. We have no spring to speak of, usually the ground is covered with snow until May. Then we have a mud season that goes into summer. The summer months are nice temps range from 70- 90 and the nights start getting cool in mid August low 50 – upper 40. Our growing season is very short. Blueberries grow very well. Blackberries do also, bug if they have enough moisture and sun they will yield wonderfully. However, if we get a lot of hot sun and no rain they will shrivel before they rippen. Now that is frustrating. Hi Marion, I’m going to ask on my facebook page for you. Our trees are still young and haven’t produced yet so we haven’t had to deal with maggots. Here’s a link to the facebook post, https://www.facebook.com/SchneiderPeeps/posts/685774041612834. I live in Plano Texas. can you suggest some fruit trees which grow fast here. Hi Ramesh. Plano is in gardening zone 8a which means it can get into the low teens during the winter. If you are familiar with with gardening zones (both cold hardy and heat zones), chill hours, etc for understanding your climate, you should consider this mini ecourse, https://www.schneiderpeeps.com/gardening-simplified-understanding-climate/, it will help you pick plants that are good for your area. Mulberries would grow well in Plano, we used to live in Ft Worth and had a beautiful mulberry tree. Also, peaches and nectarine, apples, citrus if you grew it in a pot and brought it in when the temperatures reach freezing, You can also grow moringa as an annual and just harvest the leaves throughout the summer. A great place to start is by talking to your local county extension office, they are a wealth of information. Hi Angie, I’m so glad that I discovered your post on Facebook. I live in Idaho but my sister lives in Arizona and would be interested in knowing that avocado trees are grown there. Hi Debbie, I don’t live in Arizona but I know their climate is pretty diverse. I would suggest that your sister visit with her county extension agent about growing avocados in her area. Thanks! Banana you get in one year, especially in tropical climate. My home is surrounded by them , and even in hot summer they provide lot of shade and lowers the atmospheric temperature. Tried to google the reason to find out how they cool the surroundings, but found nothing. Amazing plant, gift of God..
Hi Angie, Thank you for your helpful article. We’re living in LA Co near the coastline, zone 10. We planted a Santa Rosa plum 20 years ago that outdid itself til it died 2 years ago. We also planted a Hollywood apple that has done okay, not great. Now that I’m retired I have more time to water and prune, so it’s doing much better. I’d like to plant some more fruit trees that would be fast growers, fruitful and attractive to bees, birds and butterflies. I’m not familiar with mulberry, but if it grows in our zone, I’m willing to try it out. Can you please tell me more about the moringa tree and what kind of fruit it bears? Does these trees respond well to topping and pruning to keep them from growing too big? Hi Shelley. Yes, mulberry and morninga will grow in zone 10 and both can be topped and pruned to keep them from growing too big. You’ll want to be careful where you plant the mulberry so that the berries don’t drop on your car or in a heavy foot traffic area. Some people plant them by a sidewalk or driveway and regret that later. The moringa produces a bean pod – like large green beans – that can be eaten when they are immature. The main part that is eaten from a morninga is the leaves. It responds well to frequent harvesting. Hope this helps. Thanks for your reply, Angi. Planning on planting them both on the back yard and topping them so we’ll be able to control their height. Do you know if either one is nitrogen fixing? You’re welcome, Shelley. Neither tree is a nitrogen fixer.